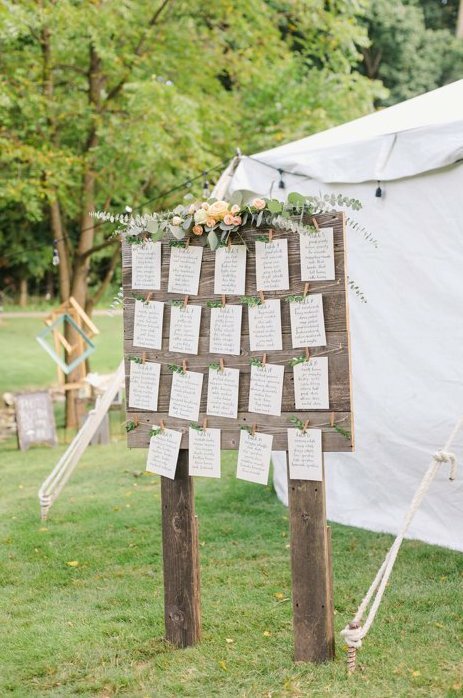 While we love a simple place card spread, there's something to be said for going the extra step of creating an eye-catching piece out of your seating chart! 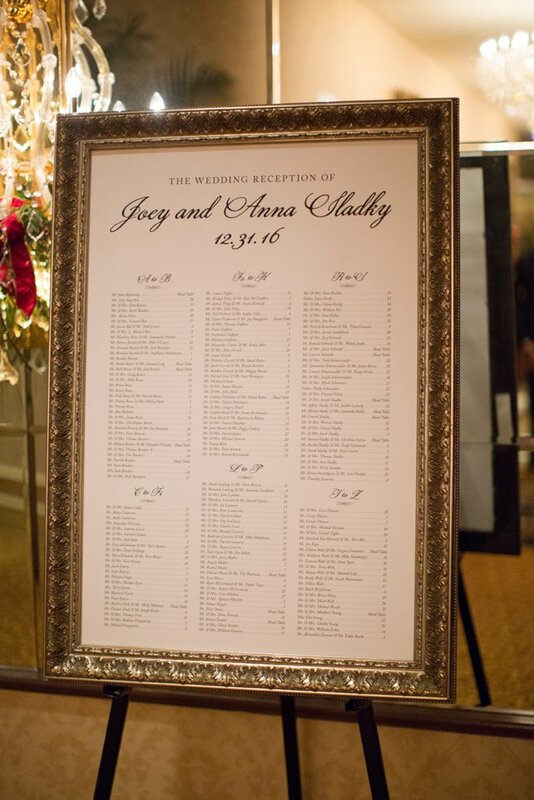 Frames with or without easels are a big trend right now and can easily be incorporated into your wedding style. 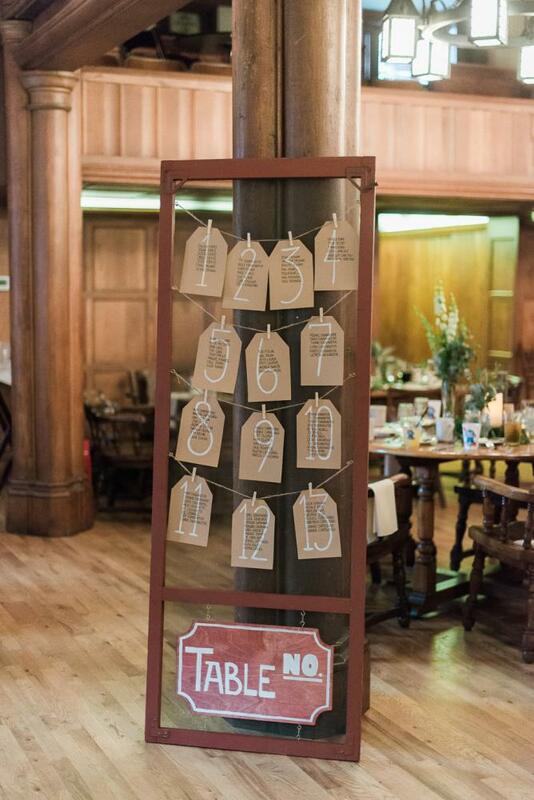 For a farm vibe, raw wood and wire make for the perfect frame to hang individual name tags. 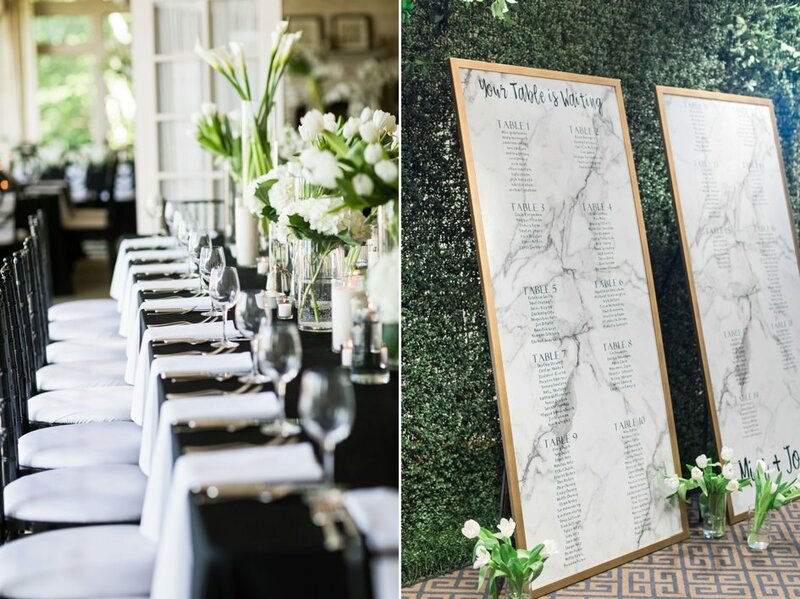 This look can easily be dressed with up with a gold or silver metallic frame and a textured background like marble or agate. 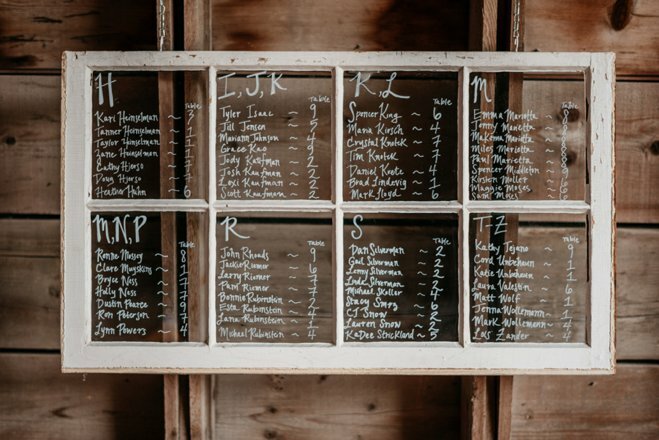 Ditch the paper altogether and make use of a funky mirror or old window pane to hand-write guests' names in a fun color. For a more polished look, skip the materials and go for an all-printed option that is easily customizable (and changeable at the last minute!). 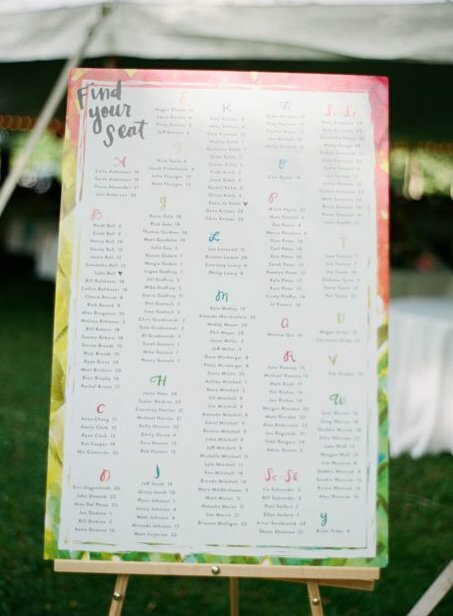 We know you'll love these fun place card and seating chart ideas below! 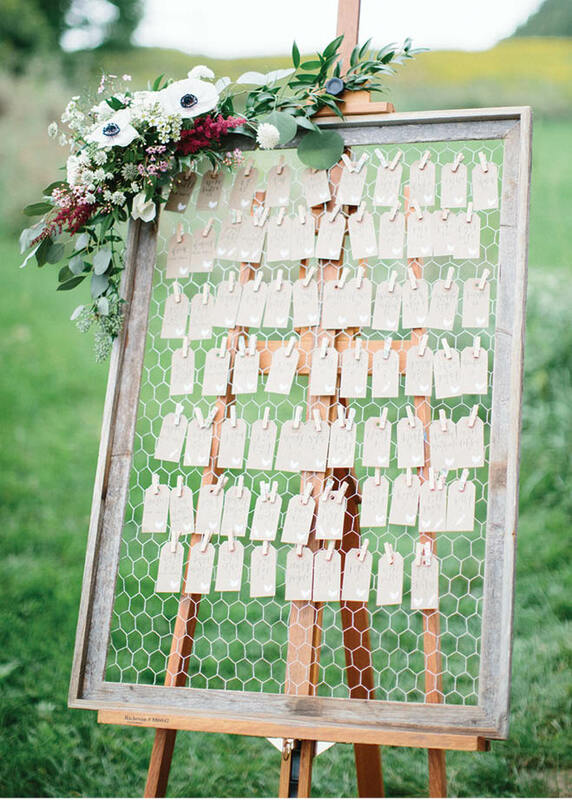 Rustic meets whimsical with chicken wire and florals. Photo by Dani Stephenson Photography. 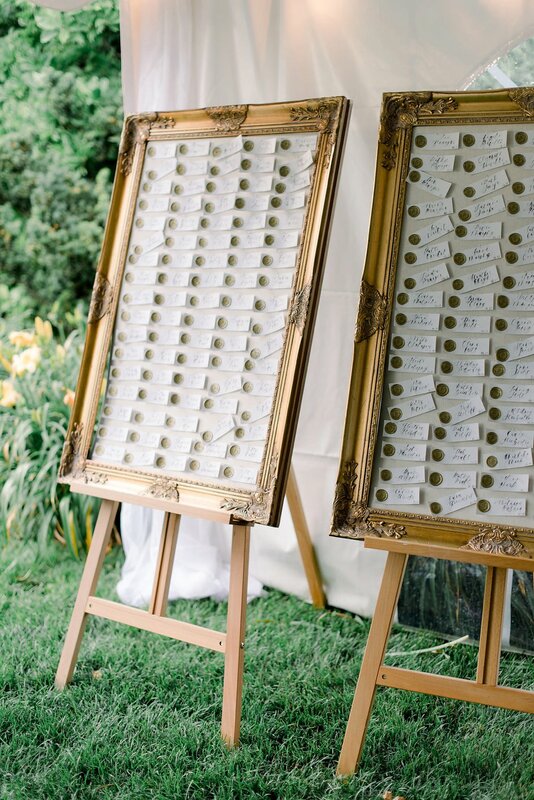 Elegant gold frames and wax stamps elevate these place cards. Photo by Meghan Lee Harris.